The quantities listed below are what I used, and that made 7 jars. Essentially you just put everything in a pan and simmer for a couple of hours, but there are more detailed instructions on the original recipe. 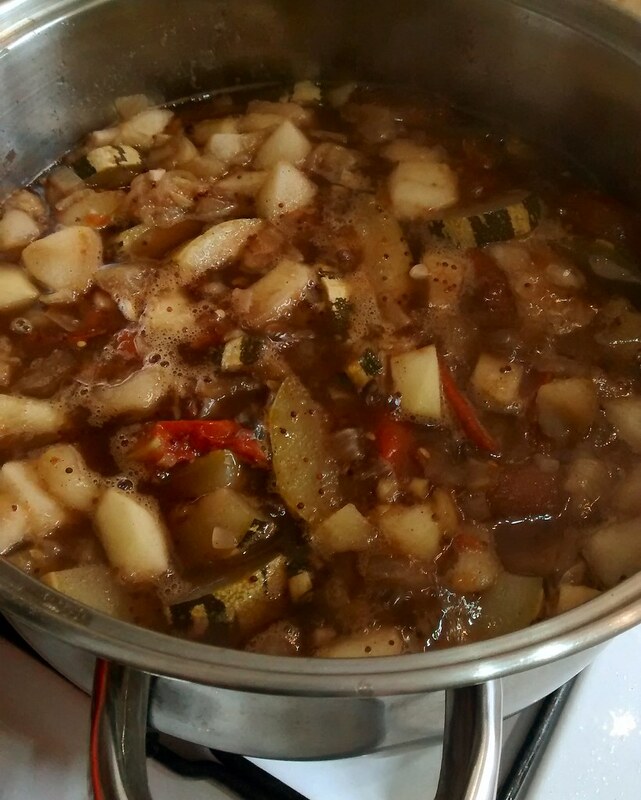 Head over to http://notjustgreenfingers.wordpress.com/2014/08/15/purple-bullace-jelly-and-courgette-chutney/ for the how to. Chutney-making friends of mine recommend putting the chutney in a cupboard for a good 6 months after making it to let the flavours develop.